I have the privilege of travelling to some wonderful places for work and for leisure. One such place is Slovenia. 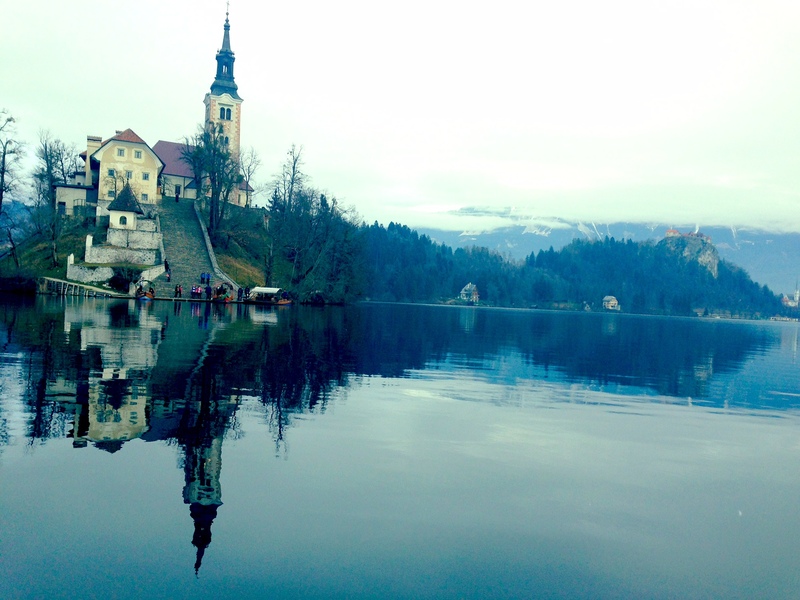 I travelled to Slovenia with our agent Absolute Corporate Events for a site visit. It it is a very unassuming country that, for most, is not a dream destination. I cannot begin to express how incorrect people are to think this. It is truly one of the most wonderful, amazing countries I have ever had the privilege to see. There were so many highlights to my visit and we got to see most of what this little country had to offer but I have decided to point out my favourite bits. 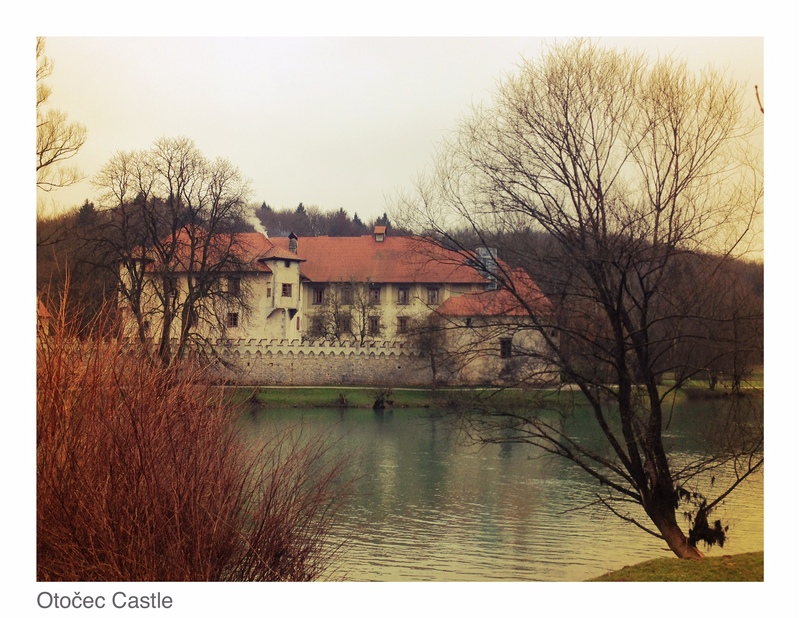 This is a castle and hotel that sits on a small island in the middle of Krka River, just outside Ljubljana. The walls of the castle are said to date as far back as 1252 and the interior has been beautifully restored. The interior had the feel of a castle with the exposed stone, dark furniture, high back chairs and circular chandeliers… It truly is a magical place! We had the most wonderful lunch. We also sampled an array of Slovenian wine which is surprisingly good. While I do not consider myself an expert on wine I certainly drink enough of it to know when I am tasting a good one and the Slovenian wine is delicious!! This place makes you feel like you have landed on a set for a fantasy film because it simply cannot be real! The Bled Castle sits on a hill above the lake and the views from the castle have the ability to take your breath away (see the very top pic)…The lake surrounds Bled Island which has a long history and dates back to around 1400. You access the island by electric boat or a traditional gondola type boat called a Pletna boat. A Baroque stairway consisting of 98 steps brings you to a little church. Certainly a good workout! The church is popular for weddings and it is considered good luck for the groom to carry the bride up the stairs and ring the bell at the top. I was ready for my strong cup of coffee and sweet Slovenian delights waiting for us in the coffee shop on summiting this little island. 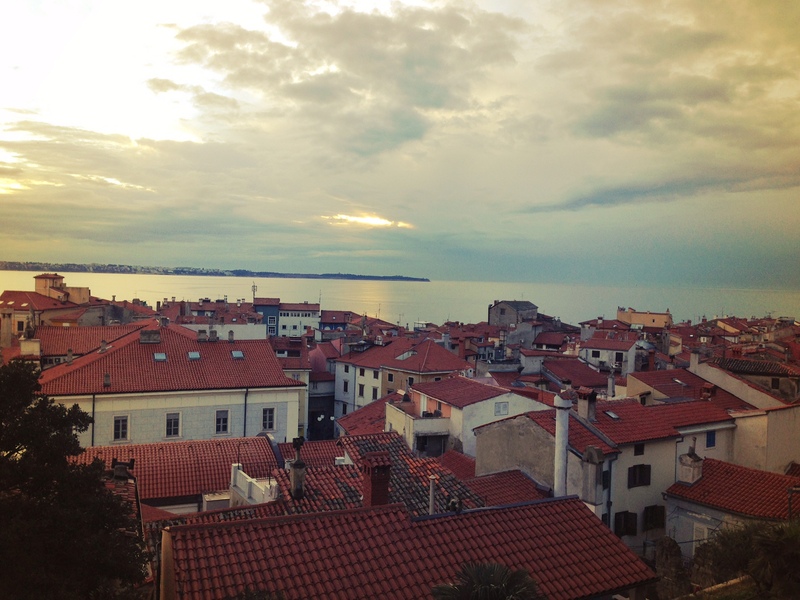 It wasn’t Piran as a town itself that grabbed me but rather just the area as a whole. It is incredibly close to Croatia. In fact many people living in Slovenia, have a house in Croatia as a holiday home. It is also a 2 hour drive from Venice which makes it a wonderful holiday destination to go exploring!! Besides… Look at that view!!! 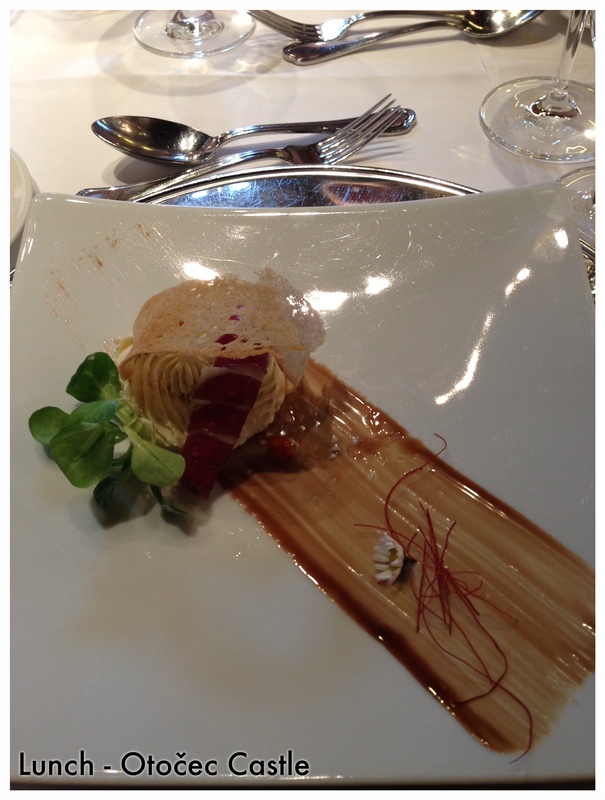 We had the wonderful opportunity to eat in one of Slovenia’s top restaurants. We were welcomed by the amazing Tomaž Kavčič himself who is one of Slovenia’s famous chefs. 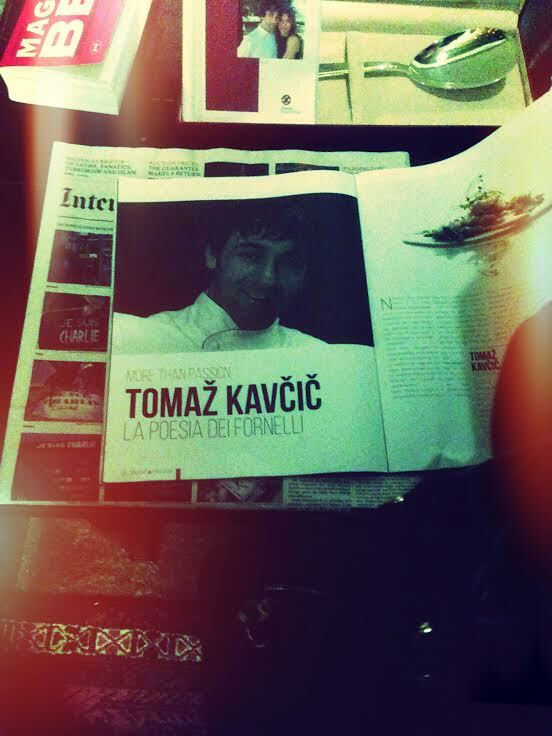 He has previously been presented with an award for best restaurant in Central and Eastern Europe. We were greeted with an array of canapés which included truffles, salmon and Slovenian ham. To say that it was an experience is an understatement. 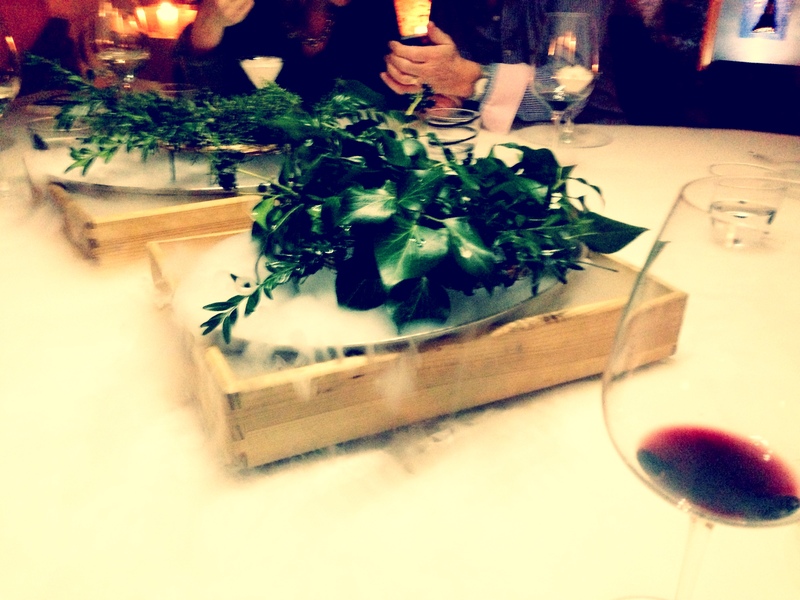 The food was almost theatrical in nature, with each course giving us something new to discover. It was an evening to remember! Slovenia has so much to offer!! From skiing in the Alps in the winter to the warm Mediterranean climate and beaches for the summer. 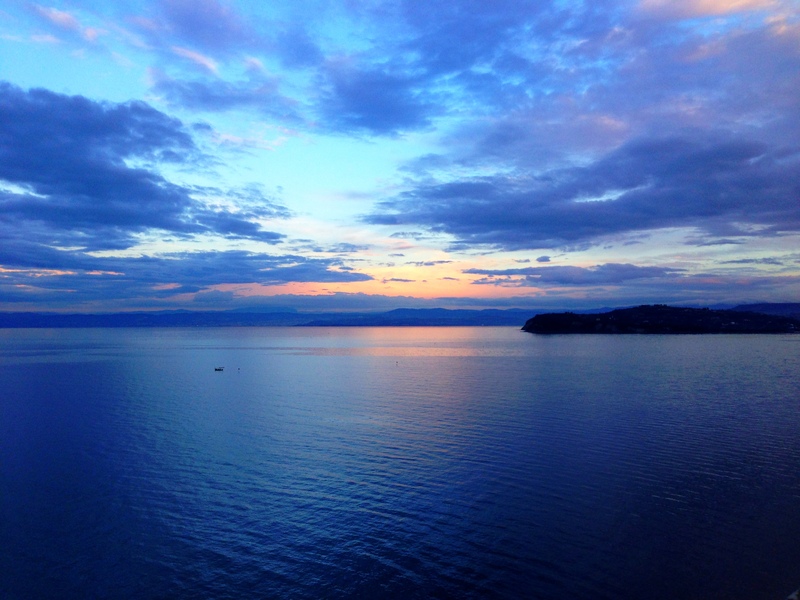 You have Croatia and Italy on either side to discover and some of the worlds most wonderful natural spa’s to enjoy. It truly is a destination for everyone. So… where will your next holiday be? I’m dying to visit Croatia though… All these choices! Thanks Chantelle! I can definitely recommend it.